During a recent family vacation to Orlando, Florida it did not occur to me that I would drive right by the town of Winter Park. Winter Park, Florida has the dubious distinction of being the location of Richard Manuel's suicide in 1986 after The Band performed a concert there. Somewhat haunted by this prospect I decided to listen to a recording made on October 12, 1985 at the "Getaway Club" in Saugerties, NY, less than a year before Richard would take his own life. This recording is personally one of my favorite performances that I have in my collection. I think its a combination of the intimacy of the recording, emotion in the performance, and delicacy of Richard's voice. Richard had worked his way up the "rock" ladder performing in clubs as a lad, then eventually arena's and stadiums with Dylan and The Band, and then back to clubs and bars. It was hard on him to feel like he was irrelevant by the mid 1980's, but he always preformed admirably and to the best of his ability. I feel if Richard could have made it through the 80's he would have been back in the center of things, with the revival of music festivals, rambles, and benefits. But, alas it was not to be. I am not going to get into the "why's" of Richard's death in this blog entry. Anyone who has been touched by a suicide in their own lives know that it is often unexplainable and emotionally taxing. To any reader who wants to look deeper into this horrible event, I recommend reading Levon Helm's biography "This Wheel's On Fire" I want to use this space to reflect on the recording I was inspired to revisit, and enjoy the music that Richard left behind. Containing what I, and many believe to be the greatest voice in rock, Richard was in a constant battle with his demons and unfortunately, he eventually lost. Along the way he created a unique and timeless songbook, and breathtaking vocal performances right up until the end of his brief life. 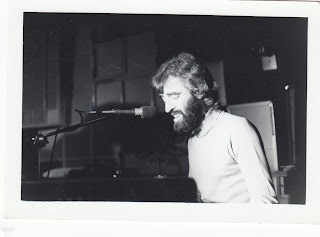 To quote Eric Clapton regarding Richard Manuel I believe says it all," For me he [Richard] was the true light of the Band. The other guys were fantastic talents, of course, but there was something of the holy madman about Richard. He was raw. When he sang in that high falsetto the hair on my neck would stand on end. Not many people can do that." The recording I am reviewing was recorded at a pivotal point in Richard's life. Relegated to playing dives, and mid sized concert halls since the breakup of The Band, Richard's confidence had been shaken and his dependency and depression weighed heavy. At the point that the Getaway Club recording was made Richard was organizing his originals and reaching out to old friends with the hopes of releasing a debut solo album. The performances at the Getaway were great because they were close to home, and a fantastic way for Richard to "try out" some new tunes, and play the old favorites to a friendly crowd. Like I previously stated, I was urged to break out this CD because of the heavy vibe I experienced while traveling in Florida. There are some collections of music that I have to be in a unique place to listen to. As I'm sure you the dear reader understand, there is "sacred" music that must be felt, the kind that you cannot play in the background or casually. To me LP's like "Plastic Ono Band", Van Morrison's, "Veedon Fleece" and Gene Clark's "No Other" are albums that have way too much emotional content to not have my full attention. The same goes for this Richard Manuel performance, which requires a devoted listener who will let its music crawl inside of there ears and marinate their soul. This is a crispy line recording direct from the soundboard where Richard sounds if he is singing at you from across the room. This recording was released by the Estate of Richard Manuel and was only available as an imported CD. It now has been reissued and can be easily found if you so choose to search. The recording starts with Richard solo at electric piano honky tonkin the Bobby Charles song "Grow To Old". Richard's voice is immediately stunning. Even at this later stage in his career when booze and cigarettes had done some damage to his smooth syrupy throat, Richard's lyrical expression was unparalleled. After the opener Richard quips,"Thanks, Glad I came", in classic sweet self depreciating fashion. 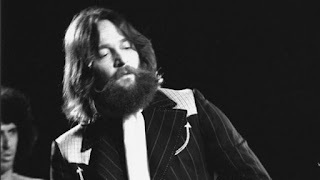 "Grow To Old" is followed by one of Richard's signature performances of "Georgia On My Mind". Often referred to as the "White Ray Charles" Richard over his many performances of this song almost succeeded in making it his own. This version is no different with the indescribable "catch" in Richard's voice eliciting such emotive qualities. I recommend the available version from Saturday Night Live 1976 where Richard will make your hair stand up on end. He of course felt he "oversang" it, but we can be the judges of that. The next song on "Whispering Pines" in an untitled instrumental composed by Richard. With a rolling piano melody reminiscent of a New Orleans band original, the track immediately catches the listeners attention with something unique. One critique of Richard toward the end of his life was that he was no longer composing original compositions. Well, this track and the upcoming second original featured on the CD prove that melodies were still writing themselves in Richard's head, and he was slowly gaining the confidence to let people hear them in a public setting. Without a co writer like Robbie Robertson to edit and add lyrics to Richard's song's he basically stopped writing. This is one of the saddest stories in rock history, the loss of new material by Richard Manuel, and the eventual loss of Richard physically from this earth. When I listen to this track again, I can hear it on an uncompleted album of new tracks that never happened, featuring all of Richard's friends, Jim Weider, Dr. John, Eric Clapton, Rick Danko, and it makes me reflective on what could have been. Guitar virtuoso and Woodstock native Jim Weider then joins Richard for "Across The Great Divide" adding his honey bee Telecaster licks to a exclusive and personal performance. Then follows another classic cover that Richard sang so well so many times that it eventually became his song. "You Don't Know Me" contains a quiver, shiver and shake. I can feel my spirit levitate as Richard sings the middle eight, and his voice reaches falsetto range and shimmers with soul and effort. A truly inspiring and emotional version of a well played song. Throughout the performance I can hear Rick Danko off microphone encouraging Richard and eventually joining in on the festivities. One of the great things about "The Band" was their brotherhood, and you can hear the love in Rick's voice as he encourages the crowd saying, "Let's have a big hand for Richard Manuel". A quick and note perfect, "King Harvest" is followed by a duo version of "I Shall Be Released" to close the first set. Rick and Richard perform a delicate and world weary version of the Bob Dylan and Band classic. A song used to close many rock gala concerts including but not limited to "The Last Waltz", this version is like two old friends embracing in a quiet candlelit room. Richard and Rick's voices and instruments meld together in the cool Woodstock night for the lucky few to witness the performance. I feel the warm fireside glow and cool snow blowing in from under the door. I sure wish I was there. But I can try to make it there through this blog and review. The second set is started with the expected but always welcome, "The Shape I'm In". The set is again started with Richard solo on piano, and the soundboard recording picks up the celebratory vibe of the venue. The one thing about this rare recording is you can hear all of the vibrations come through the recording. I can hear the apprehension, the confidence, the embarrassment and the camaraderie shining through every song. For those you love "The Band" this is the special gift that this recording shares. The next featured original on the recording harkens back to the Hawks era of Richards life. While the song is a newly composed instrumental, it would not feel out of place on either of The Band's first two records. The track is positively screaming for a lyrical melody line, it also exudes that feel of other early Richard compositions. In my opinion it fits right in with tracks like 'Jawbone", and "Just Another Whistle Stop" as originally and uniquely Richard. One of the most exclusive songs on this CD which Richard refers to as a "novelty", is the execution of the Cole Porter song, "Miss Otis Regrets". Similarly to Jerry Garcia, some musicians are just wonderful interpreters of other peoples songs. There is something in their voice and in their soul that enables them to express and disseminate any song in their own unique way. Richard is one of these "story tellers" and the aforementioned song is one of the most fantastic examples of this. 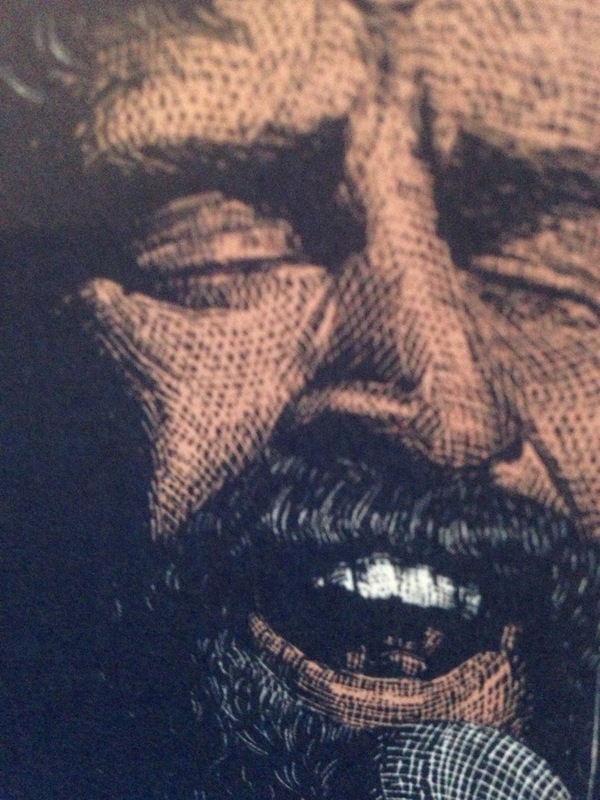 This is no novelty song in the hands of Richard Manuel. "Gang Rock" is upcoming as Richard calls everyone up on stage to jam on the J.J. Cale tune, "Crazy Mama". Rick, Jim Weider, and Sredni Vollmer all join in to help jam on a groovin blues stomp. The most extended jamming of the evening takes place on this song, and it is obvious everyone is having a good ol' time sharing riffs. This exciting display of" straight rock no chaser",by the aptly named "bandettes" comes in stark contrast to the following two numbers. Introduced by Rick as "one of his favorite songs" he asks Richard to sing "She Knows" for the crowd, which Richard does after saying "No". Richard puts the venue into stunned silence with his performance on "She Knows" and the following Ray Charles track. "Hard Times". All I can offer the reader is these two songs take the performance into the stratosphere. While its nice to hear the versions of "The Band" songs, it is Richard's interpretations of these two tracks which touch me so deeply its hard to express. The ironic lyric in "Hard Times", "I know that one of these days, there will be no more sorrow when I pass away", cuts deep as Richard pushes, pulls and stretches for the notes only he can hit. His falsetto flourishes, even slightly dulled with age have an edge that no other rock singer can even compare too. These two tracks need to be put under glass, or sent to the moon, or encased in a time capsule, because they are too important to become a memory turning "dusty, old, and grey". I am so glad someone thought to immortalize them on this compact disc. To bring the show to the proper close, Richard calls his friends back up on stage for a "rollin and tumblin" version of "Chest Fever". Even without the ever important Garth Hudson on the track this version swings with a reckless abandon and brings the show to a fitting conclusion. Every musician on stage shines, and while no one takes a "lead", the sum is greater than the parts and they all collaborate to support Richard and preform a beautiful ending to the show. The recording fades back in to the Getaway Club screaming and stomping their approval. Richard in classic fashion exclaims, "this calls for something extreme". The loudest voice in the crowd is again Rick Danko, egging Richard on and calling out song requests! One of these songs requests is for Richard's most beloved song and the title of the CD, Whispering Pines". Richard explains he may not be able to hit the notes or remember the words, but is still encouraged by the loving hometown crowd. He decides to give it a try and starts the recognizable intro piano figure. There are some flat notes, an intermittently cracking voice, and some fluffed lyrics, but if this performance does not move something in you, you must be made of stone. This performance of "Whispering Pines" stirs so many emotions inside of me that I can only listen to it in the correct setting. The melody, the words, the performance,the foreshadowing, all combine to make this a musical moment without equal. If you are a fan of Richard and/or the Band please do yourself a favor and search out this significant moment, you will not be disappointed. It will actually lift you up spiritually, if I can be so bold to assert. Richard considers the show over at this point and says his "thanks you's" to wonderful applause. But the crowd will not let him go and he decides to play one more rarity with Rick joining him. Similar to the performance of "Whispering Pines" I can tell you these are unrehearsed and unplanned songs not on the set list. But that is actually why they are so charming, because they are "off the cuff" and unplanned. "Tears Of Rage" is like Richard expresses at the end of the song, "brief", but still a fun performance that has its moments of transcendence. In no way will it compete with the "Big Pink" studio version, but because of the aforementioned undercurrents it is a special version nonetheless. That is the end of a memorable and exceptional performance by Richard Manuel and his friends. There are two more bonus tracks on the CD that Richard performed "after hours" which are repeats from earlier in the show. These are slightly different than the other versions and are nice additions to the concert. This intimate performance is special to me because Richard is someone who I respect and love deeply, but will never be able to know, or see perform. It's through releases like this that let me feel a part of I time I was unable to be a part of. Richard's music and voice lets me get in touch with emotions I may not otherwise be willing to seek out because of their negative connotations or embarrassing overtones. Listening to Richard makes me feel lucky, sad, realistic, and spiritually moved. I only wish Richard was aware of how deeply his music moved people and how important he was in their lives. If he had an inkling of how powerful he was, he may not have made the wrong decision in his moment of weakness. Richard has now become "God's Own Singer" and our singer eternally.